One of the biggest issues facing dieters is the impact of very strict diets on the body. Find out more about metabolism and calorie adaptation right here. Your body is going to do everything in its power to get what it wants. When you go on a diet, your metabolism will eventually begin to slow. Never neglect the importance of a good diet break. One of the biggest issues facing dieters who are eager to start seeing fat loss is the impact of very strict diets on the body. As soon as you start cutting back your calorie intake, removing foods you used to really enjoy from your daily menu, and often bumping up your exercise volume in addition to this, you&apos;re going to notice a variety of things happening. First, you&apos;re going to get food cravings. Second, you&apos;re going to start feeling fatigued throughout your workouts. Third, you&apos;re going to start getting hungry - very hungry. All of these side effects are due to the fact that you&apos;re now feeding your body less than what it would like. When your body doesn&apos;t have its way, it&apos;s going to start doing everything in its power to get what it wants. This is what makes fat loss such a huge challenge that people face and fail on a daily basis. Now Feeding Your Body Less Than What It Would Like. In addition to this, since us humans eat partly for enjoyment purposes, when you cut out the enjoyment you get from food, you&apos;re really going to notice a change in how you feel. Many people describe dieting to be a 50% physiological battle and a 50% psychological battle and they really aren&apos;t far off the mark. Unless you are able to deal with the intense food cravings you face, the chances of great success are slim. While all of these things seem like a big enough hurdle to overcome, then you throw another factor into the pot: metabolic slow-down (also sometimes called metabolic adaptation). What this essentially describes is how your metabolism will slow down just because of the fact you are on a diet. This doesn&apos;t include the slow-down that is going to reflect the fact you are decreasing body weight (since the lower your body weight the fewer calories you&apos;ll need to maintain that body weight), this is purely a decrease in metabolic rate because you are consuming fewer calories. There are a number of factors that will influence how much the metabolism slows down in the face of a hard diet. Some of these factors include how much exercise is being performed while you are on the diet, how much body fat you currently have (leaner individuals will see their metabolism slow down at a much faster rate), the particular food choices you are consuming on your restricted diet (low carb diets can cause the metabolism to slow down more since carbs are heavily related to thyroid hormones), and how long you have been on that restricted diet. The Metabolism Slows Down In The Face Of A Hard Diet. In one study published by the Journal of the American Medical Association, researchers assessed the effect of a six month period of calorie restriction on metabolic adaptation in very overweight individuals. They divided subjects up into four different groups over a six month trial period. Group one followed a 25% calorie restricted diet, group two followed a 12.5% calorie restricted diet as well as a 12.5% increase in energy expenditure through exercise, group three followed a very low calorie diet of 890 calories per day until they experienced a 15% weight reduction, which was then followed by a weight maintenance diet phase, and the fourth group served as the control. [ Click here to learn more. ] Exercise & Metabolism! Chances are you know that performing exercise on a regular basis is going to have an impact on your body weight and metabolic rate. After the results of the study were assessed, it was demonstrated that the mean weight of the controls was reduced 1%, the mean weight of the calorie restriction group was reduced 10.4%, the weight of the calorie restriction plus exercise group was reduced 10%, and the very low calorie diet group showed a weight reduction of 13.9%. It was also found that after adjustment for changes in body composition, the subjects&apos; sedentary 24-hour energy expenditure was unchanged in the control group but decreased in the three other calorie restriction groups. The difference in energy expenditure strictly from metabolic adaptations worked out to be 6% more than expected based on loss of body mass as assessed by the researchers. Tip #4: Brandon Poe&apos;s Metabolism Tip! In this Video Tip of the Week, Brandon Poe explains how exercise will help to increase your metabolism, allowing you to burn more calories while at rest! In another study that was conducted by researchers out of Paris, France, six obese women were put on a very-low-calorie diet for a three week time period. Body composition was assessed at the very beginning, as well as after a three, five, and twenty-one day period. The RMR, after being adjusted for lean body weight declined greater during the first week on the diet. The precise values of where the BMR was with regards to the original measurement were 94% after day three, 91% after day 5, and 82% after the full three week period was over. For someone who has a normal maintenance intake of 1800 calories for example (body weight around 120 pounds), this would mean their new maintenance after being on a severely restricted diet, down by 18%, would now be 1476 calories per day. Since most people are running a calorie deficit of around 500 calories below maintenance to actually lose body fat, after this adaptation has taken place you can clearly see how fast weight loss would slow. It should be noted that the diet subjects received was incredibly low calorie and consisted of almost strictly protein (95.3% protein, 0.2% carbs, 4.4% fat). Most people will not use a diet to quite this extreme, so the slow-down may not be as significant but it will still be present. Another issue that the dieter who is thinking of using a very low carbohydrate diet should be aware of is the after effects of the diet. Weight regain is quite a common occurrence amongst those who are successful at initially losing weight, however often that is due to a shift back to their original lifestyle and diet habits. In some cases though, this could actually still be due to the metabolic adaptations that took place during the diet process. Those Who Are Successful At Initially Losing Weight. Researchers at the University of California looked at what the energy metabolism was after a two year period of restricted eating. They had their test subjects live in a biosphere for the two year period where they consumed a largely vegetarian diet, consisting of 80% carbohydrates, 9% fat, and 11% total protein. After the two year period was up, the subjects moved back into their normal environment where they began to consume their ad libitum diet once again. Type in the keyword you would like to search for in the box below, then click "Search". After a six month period, the subjects showed weight levels back to what they were before they entered the biosphere and started the low calorie diet, but what&apos;s more important is that the 24 hour daily energy expenditure as well as spontaneous activity levels both remained lower in the test individuals. Therefore, this study is suggesting that after a prolonged period on an energy-restricted diet coupled with a significant amount of time returning to normal eating once again, you may still see negative implications for weight maintenance and a normal calorie intake. Maintenance And A Normal Calorie Intake. Obviously the best way to prevent the metabolic slow-down in the first place would be to avoid going on the diet, but since most people do want to work towards the goal of fat loss, that recommendation is not valid. Looking to other answers, there are a few things you can do to prevent the metabolic slow-down from being so significant. Have You Had Any Success On A Low Carb Diet? The first thing you should do is avoid going on a very low calorie diet. Moderate diets will work best and while it will take you longer to actually lose the weight, you reduce the risk the metabolism slows down as well as reduce the risk that you lose lean muscle mass (which also slows down the metabolism itself). 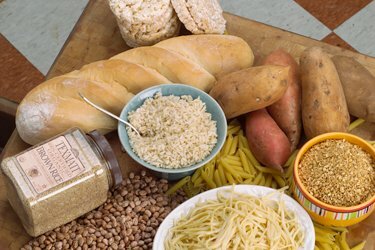 The second thing you should do is make sure your carbohydrates are not kept very low all the time. 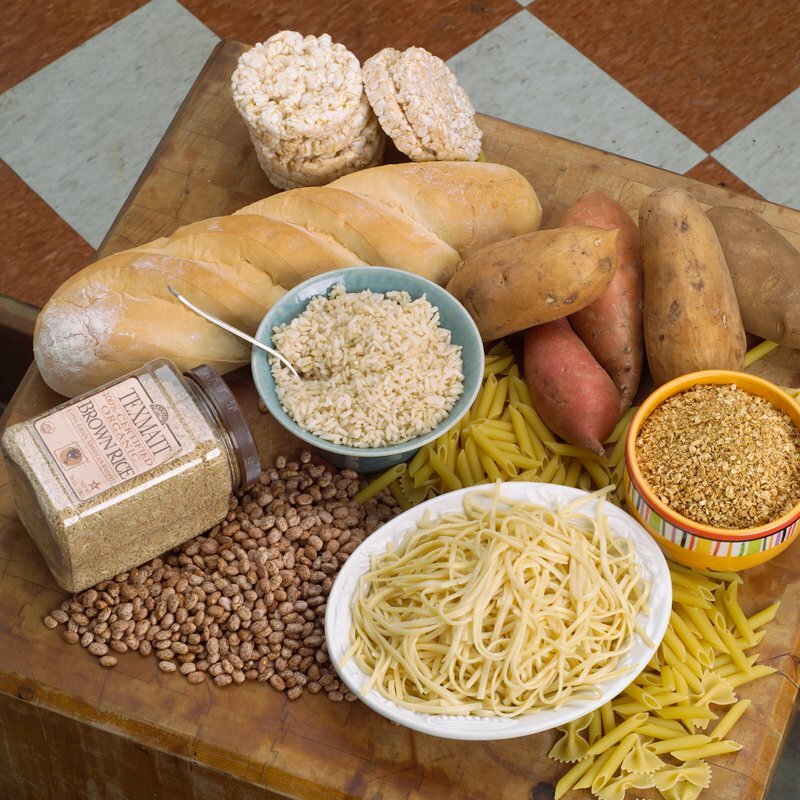 Carbohydrate intake is tied to the function of the thyroid gland and helps to regulate the metabolic rate. Third, avoid using the restricted diet for extended periods of time. More and more people are starting to realize the importance of a diet break and are using it in their diet schedule. While it may seem counter-productive to only spend shorter amounts of time on the diet before breaking for maintenance, in the long term it can provide better results and also prevent weight regain from happening once you do reach your goal weight. Not Kept Very Low All The Time. If you rush the diet process from the start, using a very restricted diet, and see these metabolic slow-downs happening, then there is a greater chance that once you move to maintenance and start eating &apos;normally&apos; (average maintenance intakes of about 15 cals/lb of bodyweight), you will begin regaining weight. If you take maintenance breaks throughout the diet period, the chances of this happening are lower. So be sure you are keeping all of these points in mind. The smarter you move through the diet period, the better your results will be. Never neglect the importance of a good diet break and adding carbohydrates back into your diet every now and then. So many people are caught up on ultra low-carb diets that they are actually sabotaging their results in the process. Deutsch, W.A. et al. (2006). Effect of 6-Month Calorie Restriction on Biomarkers of Longevity, Metabolic Adaptation, and Oxidative Stress in Overweight Individuals. The Journal of the American Medical Association. 295:1539-1548. Apfelbaum, M. et al. (1991). Energy-metabolism adaptation in obese adults on a very-low-calorie diet. The American Journal of Clinical Nutrition. Vol 53, 826-830. Harper, I.T. et al. (2000). Energy metabolism after 2 years of energy restriction: the Biosphere 2 experiment. American Journal of Clinical Nutrition. Vol 72. No. 4, 946-953. Barrows, K, & Snook, JT. (1987). Effect of a high-protein, very-low-calorie diet on resting metabolism, thyroid hormones, and energy expenditure of obese middle-aged women. American Journal of Clinical Nutrition. Vol 45, 391-398.